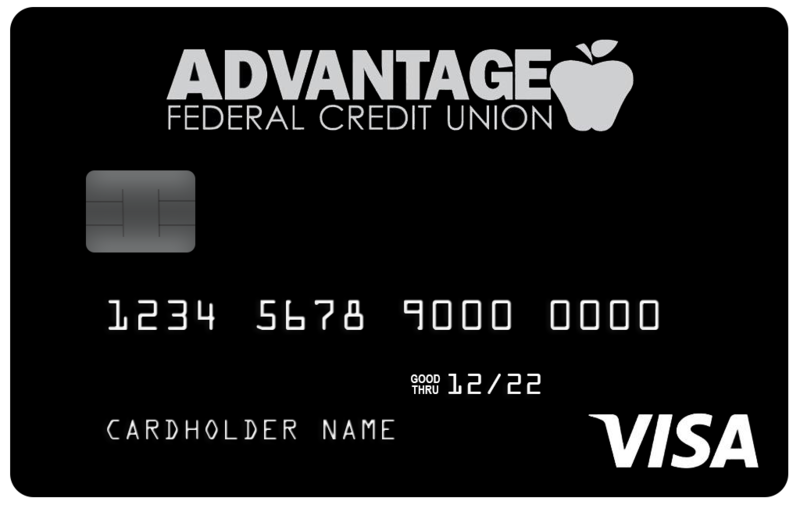 Advantage FCU offers a Visa Credit Card that can save you money. Visit any of our branch locations and we’ll help you through the process! Get rewards on everyday purchases! From grocery shopping to big life changes, no matter where you spend turn your purchases into reward points. Redeem for awards like, appliances, jewelry, cookware, recreational equipment and more. If travel is more your style redeem your points for airline tickets, car rentals, hotel stays, cruises and more. Did you know that you can enjoy all the benefits of your Advantage FCU Credit Card through your smartphone? Use your Advantage FCU Credit Card with Apple Pay and Google Pay. No need to worry! It’s simple, secure and works in thousands of stores and participating apps. Add your Advantage FCU card(s) to the Wallet App. OR enter your card information manually. On your Android device open the Google Play Store App. Tap Menu > Account > Add a new payment method. Follow the onscreen instructions and add your Advantage FCU card(s). The new payment method will then be added. *Membership subject to eligibility. Promotional Annual Percentage Rate (APR) available on all qualified balance transfers posted April 1 to April 30, 2019. Your rate will return or be billed to your regular revolving rate 180 days from the date of the transactions at 0%. Promotional offer cannot be used to pay off other Advantage FCU Credit Cards or loans.